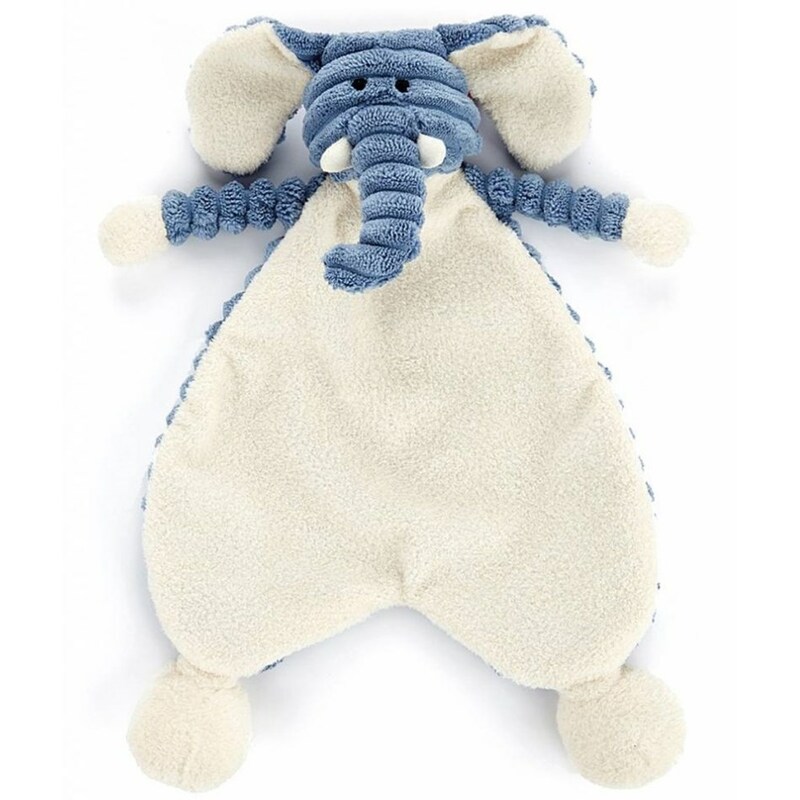 The Cordy Roy Baby Elephant Soother brings snuffly snuggles for sleepy calves. Bonny and funny in blue and vanilla, this jolly elly is a buddy, toy and pillow! 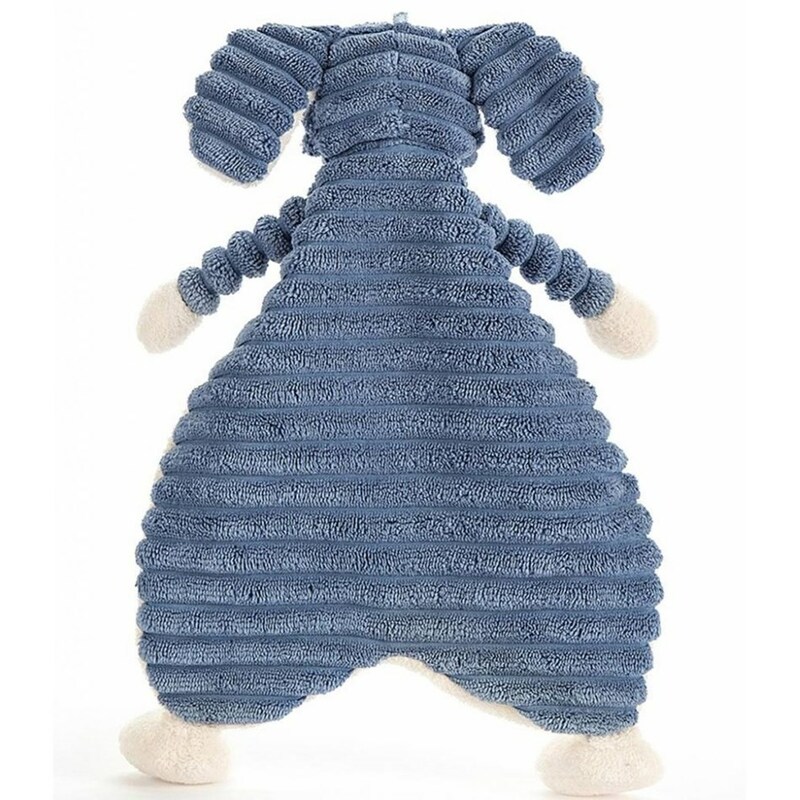 Whether Baby is napping or playing, they'll have a flopsy-friendly cordy companion. 100% Polyester.